With over 40 years experience, Straight wire has one of the broadest portfolios in the industry covering multiple applications across analog audio, video, and digital technologies. Straight Wire cables are used by leading manufacturers at audio/visual trade shows and they are a supplier for the internal wiring found in major hi-fi speaker brands. 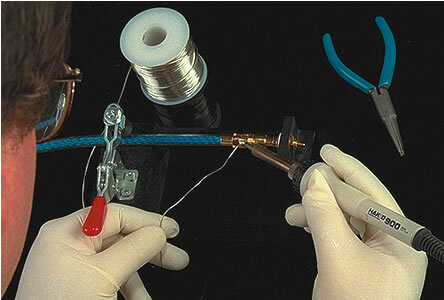 Straight Wire is known for offering good performing dependable products at affordable price levels. Upgrading your cables is one of the least expensive paths to better sound and video. Cables that come in the box with the equipment should only be considered as temporary hook ups. To allow your components to perform optimally allow a cable expenditure of 10%-25% of your equipment costs. A good set of Straight Wire cables made with the right terminations, length, and sonic characteristics for your equipment will often postpone the need to upgrade speakers and electronics and is essential infrastructure for future component upgrades. Straight Wire also makes plasma TV bundles, subwoofer cables, in wall cables, optical cables, tonearm cables sets, splitters, in fact pretty much anything you might need custom crafted to your requirements and to meet your budget. Kemela has one of the widest ranges of Straight Wire speaker cables and interconnects. Contact Kemela to discuss optimal packages for your system.